Greetings from the Rastafari Mystery School. 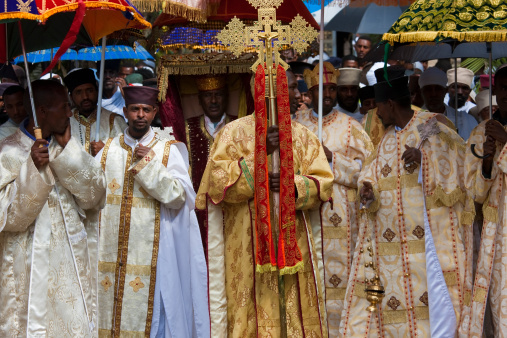 Is a myth it can and will not be found in Israel nor is it in Ethiopia, the priest or men who carry out or perform rituals and rituals are symbolic gestures. Note Bob Marley died in year 1981, at age 36. In year 2017 he will have been gone 36 years, it’s recorded that the elliptical orbit of Niburu takes 3600 years, do you follow me? 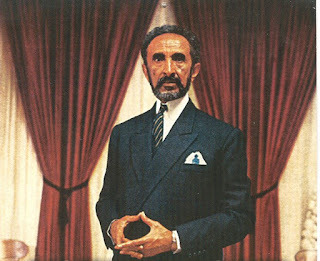 Bob Marley's birthday is February 6, 1945 or 2/6/1945i.e.,2x6x1x9x4x5=2160 i.e. 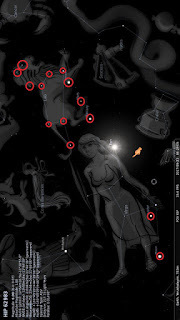 an Age, representing the sun path through each zodiacal house every 2160 years. Also in the Hebrew Lexicon, the Strong's number H2160 is called Zemirah meaning "Song" & "Joyous Song" derived from the Hebrew word Zamir and Zimra (song) or Zamar meaning "to sing", "praise" or "to play musical instruments"
14 And I looked, and, lo, a Lamb stood on the mount Sion, and with him an hundred forty and four thousand, having his Father's name written in their foreheads. 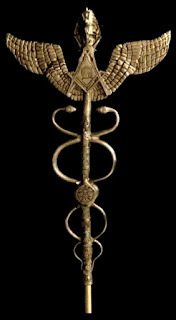 Let I/I look at the esoteric or hidden meaning of the word (staff) usually represents the spinal cord, which when activated with the ascending life force, may "bud" -as did the rod of Aaron- at the top or head. It is this that we lean on when we say-"thy rod and thy staff they comfort I" in the twenty-third Psalm. This is the same rod Moses used to part the sea that the children of Israel go home. 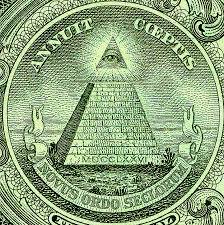 Please note the pyramid on our one dollar bill, as the symbolism of a nation not yet complete or of a nation not based nor built on the principles of truth or Christ...now we go to the word "SOUND" as it has much power-sound is vibration and we are particularly impressed that Christ will come with a "shout"
16 For the Lord Himself will descend from heaven with a shout, with the voice of an archangel, and with the trumpet of God. And the dead in Christ will rise first. 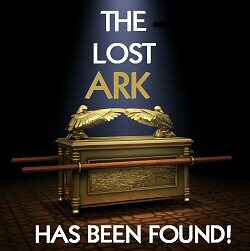 17 Then we who are alive and remain shall be caught up together with them in the clouds to meet the Lord in the air. And thus we shall always be with the Lord. 18 Therefore comfort one another with these words. 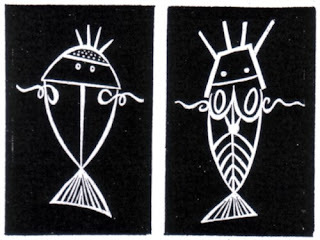 Witnessed was: men in scuba diving equipment, so they were depicted as such symbolically, when Anunakki landed on earth they landed in the sea, it is written that Enki a son Of Anu, was Lord of land and the waters, so this whole Alien THING is blown out of the water, note that if men are made in image of The Gods Then we are what our forefathers looked like. Seen? The great vault or expanse of sky that separates the upper and lower waters. The firmament was created by God on the second day to separate the “waters from the waters” (Genesis 1:6-7). 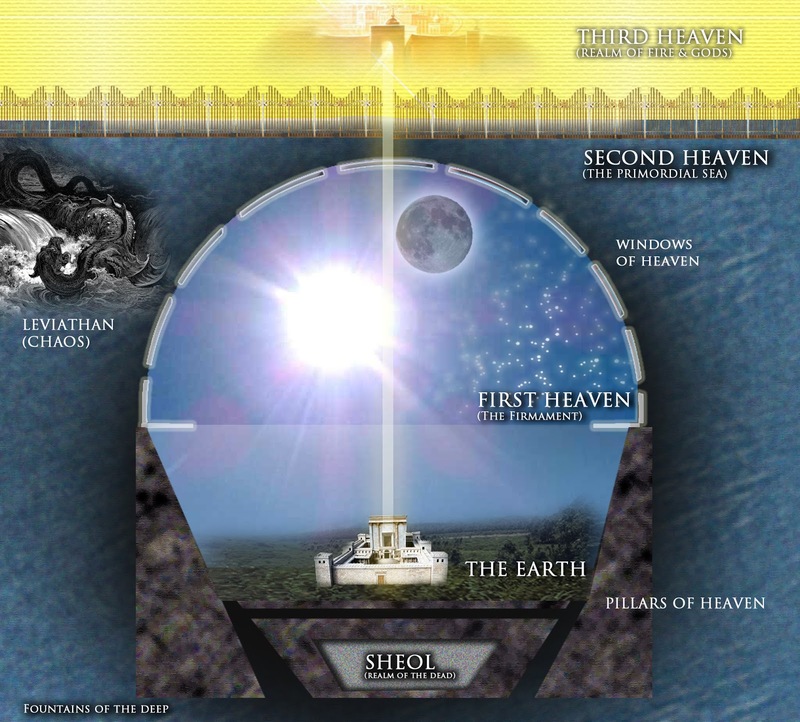 One use of “heaven” in the Bible is to refer to the ceiling or canopy of the earth. Heaven in this sense is also referred to as the firmament or sky (Genesis 1:8). Into this expanse, God set the sun, moon, and stars (Genesis 1:14-18). The word “firmament” comes from the Latin word firmamentum in the Vulgate. There it is used to translate the Greek word stereomaoin the Septuagint rendering of Genesis 1:6-7. 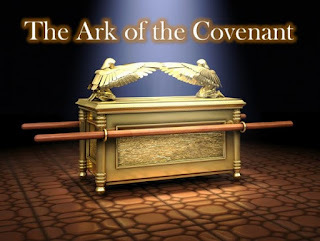 The original Hebrew word Gaqiacspode notes a strip of hammered out metal. God spreads out (verbal form of raqiaspro) the sky (Job 37:18). 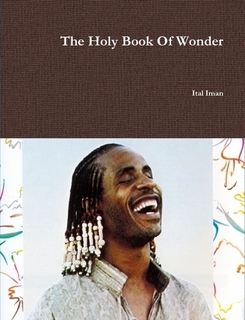 At times the use of the word connotes the idea of extension or expansion—thus the expanse of the heavens at creation. In Genesis 1:6 the firmament separates the mass of waters and divides them into layers. 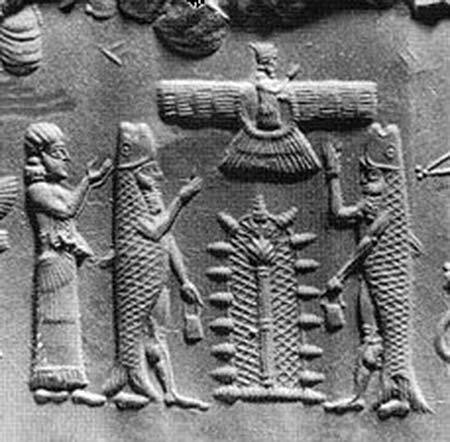 The firmament is mentioned nine times in Genesis, the Psalms, Ezekiel, and Daniel. 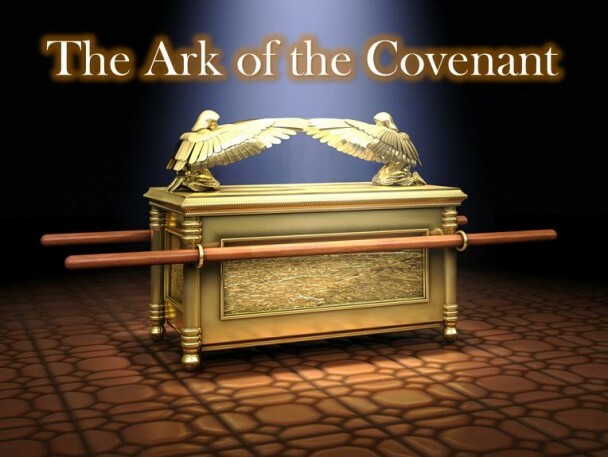 It is described as bright, transparent like crystal, revealing the handiwork of God, and signifying His seat of power (Psalms 19:1; Psalms 150:1; Ezekiel 1:22; Daniel 12:3). 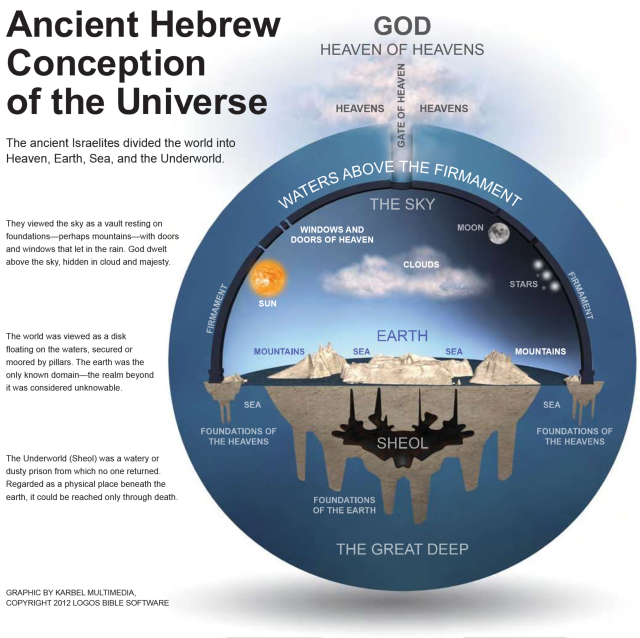 Some scholars argue that the Hebrews had a primitive cosmology where the firmament was visualized as a rigid, solid dome—a celestial dam (Genesis 7:11; 2 Samuel 22:8; Job 26:8; Job 37:18; Proverbs 8:28; Malachi 3:10). Above the firmament flowed the heavenly waters. The firmament was punctuated by grilles or sluices, “windows of heaven” through which rain was released. Others argue that such interpretations are unsound, in that they confuse poetic and figurative language with literal prose. Others say Israel's inspired writers used language of experience and appearance rather than language of precise scientific description. See Heavens. Fausset, Andrew Robert M.A., D.D., "Definition for 'Firmament' Fausset's Bible Dictionary". Revelation 12:1-2 portrays a woman clothed with the sun, the moon at her feet, giving birth to the male child (Jesus), and crowned with 12 stars. 1. Must be clothed in the sun. CHECK. 2. Moon at her feet. CHECK. 3. Giving birth to the male child. In other years she gives birth to other planets like Mercury, Saturn, or Venus. Only in 2017 is she giving birth to Jupiter, the king planet, which had previously been identified as Christ's star. Ignore Stellarium's artwork. In the actual constellation, identified by the lines, Jupiter is precisely between her legs and below her womb. CHECK. 4. A crown of 12 stars. Virgo the Virgin is always crowned with Leo the Lion, which is composed of exactly 9 stars. Only in 2017 are exactly three more added to create a crown of 12 stars (Mercury, Mars, and Venus). CHECK. What is the significance of 2017? I would say it could be Christ's return or the Rapture, but it might also be the mid-point Abomination of Desolation for the reason that the sign given in Revelation 12 seems to occur right before the final 3.5 years. The precise fulfillment of the prophecy in Revelation 12, which speculatively appears to occur on September 22-23, 2017, should be good reason to be alert and looking upwards. Very very interesting! What type of preparation of the body, in your opinion, is necessary for this event?